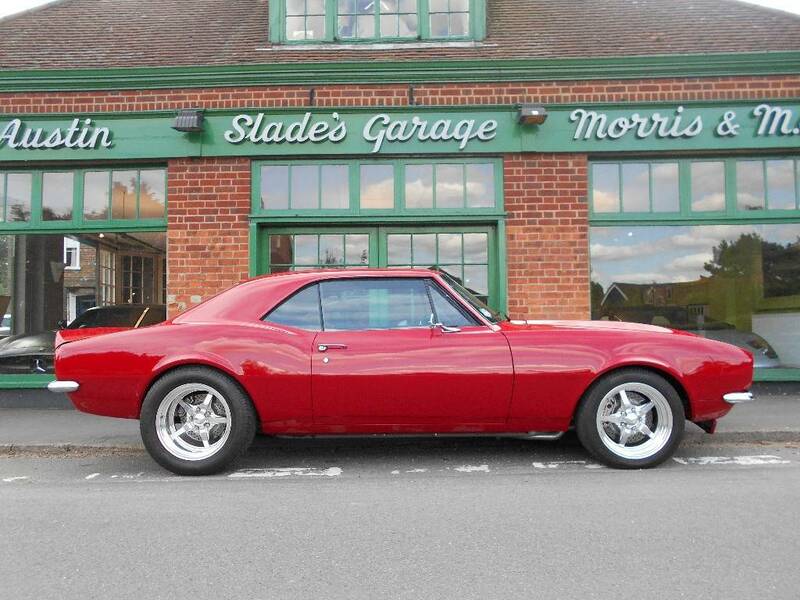 Finished in Stunning Rio Red with contrasting Grey cloth interior, The car has been subject to a full rebuild in by an Camaro enthusiast in US in 2007, the was rebuilt to Pro touring spec and has only covered just over a 1,000 miles since. The Camaro has been fitted with the following. 502 Cubic inch Ram Jet - Arizona Speed Tuned. 400 Turbo Auto with US Gear Overdrive. Drip Rails removed, custom cold airbox. Flush mounted Glass, Custom fabricated Front Header, Front Fenders, Cowl Panel, Rear Shelf, Rear Tail Panel and Hood. Vintage Air Front Runner pulley system, Complete powder coated Global West suspension. Baer brakes 13'' Front Discs and 11'' Rear Discs Be Cool, Cooling Systems with electric fan. Custom Rearend with Mark Williams carrier and axles 3.90 ratio Sweet power rack and pinion steering with remote servo Vintage Air conditioning and Heating. Custom Stainless steel fuel tank with High output pump. Jim Mc Faul custom Interior with Corbeau sports seats. Pinless wiring harness, Rockford Fosgate Eclipse sound System. Detroit speed intermittent wiper system. LED third brake light, 5 Spoke GTX60 17x8.5 and 17x9.5. Full parts list in two folders along with pictures of the rebuild.